The building dates back to 1794, but the Bridge Cafe's life as a drinking establishment first began in 1847 when it was opened as a porter house, making it New York City's oldest bar. Just under the Brooklyn Bridge, rumors of ghosts of the pirates who frequented the bar continue. Numerous accounts of haunting at one of New York City's oldest theaters including sightings of the building's builder and namesake, David Belasco, who lived in an apartment at the top of the theater before his death in 1931. His ghost is said to interact with actors, offering kudos and handshakes, and many have reported hearing footsteps and the disconnected elevator running. Sightings of the Blue Lady, possibly Belasco's companion, have been reported numerous times. First Ave. at 16th St. Many people have reported hearing unexplained footsteps, noises, and voices throughout the hospital. This West Village speakeasy claims to be visited by former bar mistress and owner, Henrietta Chumley, who comes to drink a Manhattan. The former owner also makes her presence known by messing with the restaurant's jukebox. Central Park West at 72nd St. In the sixties, the ghost of a young boy/young man was seen by a couple of construction workers at The Dakota. A girl dressed in turn-of-the-century clothing was seen by painters working at the building several years later. John Lennon, who was murdered outside the Dakota in 1980, is also rumored to haunt the area around the undertakers gate. To add to the eerieness, the building was also the setting for Roman Polanski's Rosemary's Baby. Haunted by Mickey, who was killed when he was hit by a car in front of the Inn, a sailor who lived in the Ear Inn when it was a boarding house. Opening in 1868, waiters at the Landmark Tavern believe the restaurant is haunted by an Irish girl and a Confederate soldier. This SoHo building is haunted by a young woman, Elma Sands, who was murdered in December 1799 and dropped in a well which is now in the restaurant's basement. Sands alleged murderer, Levi Weeks, was never convicted despite strong evidence. Evidence of the ghost's presence include ashtrays knocked off tables, plates being broken on the floor, and bottles flying off shelves. Built in 1765 as a summer home for British Colonel Roger Morris and his wife, the Morris-Jumel Mansion is the oldest remaining house in Manhattan. Several ghosts are reputed to haunt the mansion: Eliza Jumel, former mistress of the mansion, has been seen wandering the house in a purple dress, rapping on walls and windows; the ghost of a young servant girl who committed suicide by jumping out a window has been seen in the mansion's servants quarters; and a soldier from the American Revolution, who's picture hangs on a wall in the mansion, has also been seen. Flashback to the 1880’s, New York was hopping with upscale bars, celebrity mixologists and finely crafted, complex cocktails featuring top-shelf liquors and fresh fruits and herbs. 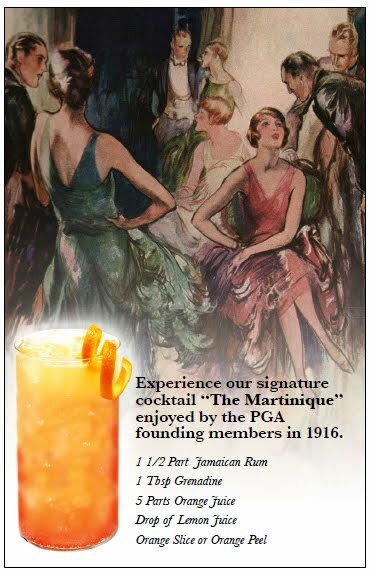 The Party ended( officially, at least) in 1919, when the Volstead Act prohibited the production, sales and consumption of “intoxicating liquors.” Prohibition simply led to the speakeasy – where guests gained entry via a password and were encouraged to “speak easily” to avoid police raids. The Martinique in the Gilded Age…..and Now! The heart of the Gilded Age of New York still survives, virtually intact, in the “Ladies' Mile District”. You can still experience the Manhattan of Diamond Jim Brady and Edith Wharton with its internationally renowned department stores and specialty shops, New York’s early skyscrapers, and its extraordinary Beaux-Arts architecture. At the turn of the century, Richard Harding Davis of the New York Sun noted that "private carriages line the curb in quadruple lines, and the pavement is impressively studded with white-breeched grooms." It was here that the most elegant ladies came to buy the finest objects sold in America. First Ladies, such as Mrs. Grant and Mrs. Cleveland, came up from Washington to buy special outfits at Arnold Constable on Broadway at 19th Street. When Isabella Stewart Gardner came down from Boston to buy diamonds, she came to Tiffany's on Union Square. New York Magazine and the New York Times christened it the Flatiron District, photographers call it the Photo District, real-state agents call it Midtown South, but its most nostalgic name is the old one: The Ladies' Mile. 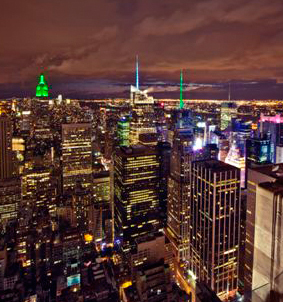 It was said that “all of America goes to New York for its shopping when it can." The Ladies' Mile extended up Broadway to Madison Square. This intersection of Broadway, Fifth, and 23rd Street was a favorite corner for "people watching". The Ladies' Mile, however, was not just for ladies or their shopping. Concert halls, theaters, galleries, wholesalers, interior decorators Elsie de Wolfe and Associated Artists, and the offices of publishers and architects were clustered together in what is now called the Flatiron District. It was the center for the sale of pianos, with Steinway, Chickering, Sohmer, Knabe, Weber, and Decker among the dozens of showrooms for what was then a major New York industry. Just as it was in 1900, The Radisson Martinique is a stunning Beaux Arts building in the heart of midtown Manhattan. 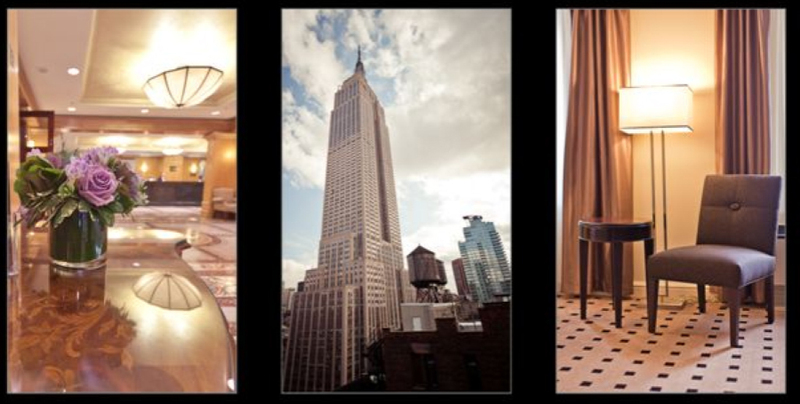 Still amidst the excitement, it is within walking distance to the Empire State Building, Broadway Theaters, Madison Square Garden, Penn Station, Macy’s and the Chelsea Art Galleries and Restaurants. 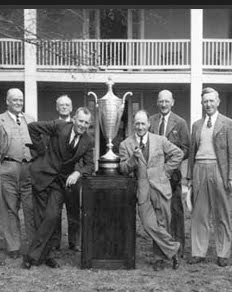 A long-running success story, The PGA of America grew from a meeting on April 10, 1916, in the Martinique's diminutive boardroom where 78 professionals were elected to membership and formed the springboard into the world's largest working sports organization with 27,000 men and women professionals. The Roaring Twenties, also known as the Jazz Age, was an exciting time in New York City. Prohibition, the “Charleston, and the inimitable Flapper were in the daily headlines. One newspaper article of the time described the flapper as such: “Take two bare knees, two rolled stockings, two flapping galoshes, one short skirt, one lipstick, one powder puff, 33 cigarettes, and a boyfriend with a flask. Season with a pinch of salt and dash of pep, and cover all with some spicy sauce, and you will have the flapper”. Broadway in the 1890s was said to have a “cham­pagne sparkle.” “All the world came to Broadway to shop, to dine, to flirt, to find amusement, and to meet acquaintances,” wrote Henry Collins Brown, curator of the Museum of the City of New York. 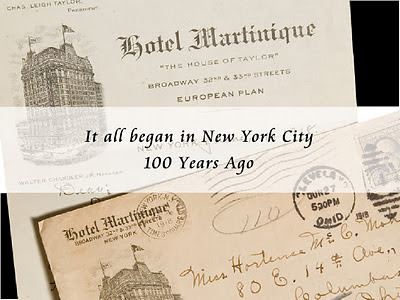 The Hotel Martinique opened in 1900 amidst the boom of hotel and theater life on Broadway. The Metropolitan Opera stood close by on 39th Street and a series of other fine hotels reached up to Times Square. Shortly after the Hotel Martinique opened, plans to open Pennsylvania Station were announced and Macy’s opened on Herald Square while the PATH extended to 33rd Street. It was the perfect time for William R. H. Martin, owner and namesake of the Hotel Martinique, to submit the plans to double the size of the Hotel Mar­tinique. 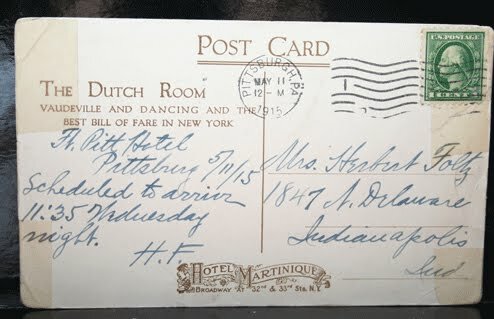 Martin hired the Hotel Martinique’s original architect, the renowned Henry Hardenbergh who also designed the Dakota Apartments, the original Waldorf Astoria Hotels and the Plaza Hotel. 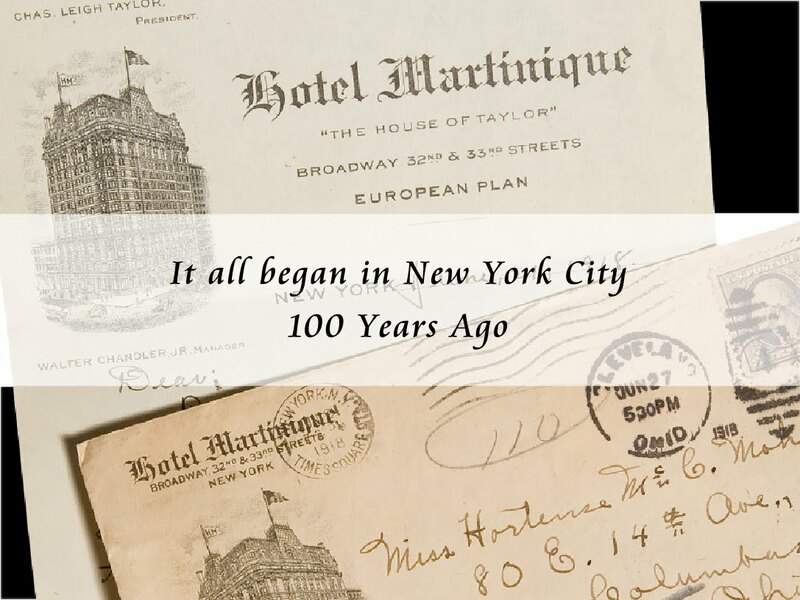 On December 21, 1910, the enlarged Hotel Martinique opened with a total of 600 rooms. As a line of elegantly dressed guests arrived in horse drawn carriages at this Beaux Arts masterpiece they were immediately im­pressed. Guests entered into a vast lobby, which also featured an inspiring mosaic-tile floor and an 18-story spiral staircase, both of which are still very much intact today. The lobby proudly displayed a stunning, large, floor standing, historic clock. It was built in the 15th Century T.H. Crawford, Royal Clockmaker to King James I-King of Scots. In the late 1800’s, developer William R. H. Martin (hence the name Martinique), had invested heavily in real estate in this area of the city. He built, and expanded he Hotel in response to the growth of entertainment, shopping, and transportation activities in this busy midtown section. Martin hired the distinguished architect Henry J. Hardenbergh, who had acquired a reputation for his luxury hotel designs, including the original Waldorf and Astoria Hotels, as well as the Plaza Hotel. The Martinique was constructed in three phases; 1897-98; 1901-03; and 1909- 11. In Hardenberg’s hotel and apartment house designs, he created picturesque compositions based on Beaux-Arts precedents, giving special care to interior planning and appointments. For the sixteen-story, French Renaissance-inspired style Hotel Martinique, the architect capitalized on the openness made possible by Greeley Square, to show off the building's boldly-scaled mansard roof, with its towers, and ornate dormers. The glazed brick, terra cotta, and limestone- clad structure also features rusticated stonework,balconies and prominent cartouches on all three of its main facades: Broadway,32nd Street and 33rd Street. Despite having been created in three sections, the building maintains a harmonious street presence on all three facades.